City Roofing & Remodeling is here to serve the Orlando and Central Florida! We specialize in new roofs, roof repairs, storm damage repair, insurance work, and mold remediation. We are professionals with over 10 years of roofing experience. We would love to speak with you about your home, schedule an inspection today! A good roof will protect your home from the weather, insulates & cuts heating & cooling bills, and will last for years. Don't trust your roof to just any roofing company. Call us to get a free consultation. Don't let your roof become a danger, if you need roof replacement it is important to get the right professional for the job. A leaky or damaged roof can lead to other costly repairs. Living in Central Florida has its perks, but let's face it sometimes we have severe weather. If your home was damaged in a storm we can help, we work directly with your insurance company and help ease a stressful situation. Mold can spread through a home as fast as 24-72 hours. If you have a Leaky roof, leaky pipes, or windows, moisture can easily seep into unwanted areas and cause harmful mold to grow. City Roofing And Remodeling is a roofing company located in Orlando, FL is here to satisfy all of your roofing needs. Every job we do gets done right…the first time. We are owned and operated by a Certified Roofing Contractor/Certified General Contractor. Every customer gets treated right and that has been our philosophy since day one. We specialize in all types of roofing, both Residential and Commercial, and have a wealth of other skills we deliver to our clients daily. From roofing repair to storm, wind and hail damage, to remodels and new home construction, we deliver. At City Roofing & Remodeling, we take an old-fashioned pride in our workmanship, integrity, and customer service. Our team of Central Florida roofing contractors and remodeling specialists has the talent, vision, and experience of a true craftsman, ensuring every residential roofing, commercial roofing, and remodeling project is hassle-free and professionally done. We believe that the quality-to-price ratio is the most important factor when deciding who puts a roof over your head. With that in mind, our prices are kept as low as possible for the highest quality building materials and labor. As one of the top roofing contractors in Orlando, our services include roofing, roof replacement and roof repair estimates, kitchen and bath remodels, drywall, flooring, painting, fencing, interior remodeling, skylights, solar panels, insulation, gutters, and new home construction. We build it, but you have to live in it (or under it), and our goal is for you love what we do. This is why we offer our customers a 100% guarantee that you will be pleased with our workmanship, products, and professionalism. 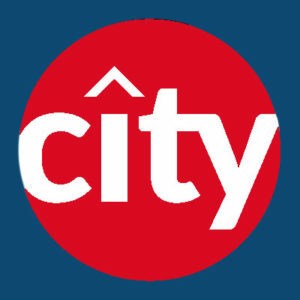 City Roofing & Remodeling is licensed, insured and bonded. We are owned and operated by a certified Orlando roofing contractors and are members of the National Roofing Contractors Association. And located in Central Florida we can handle any roofing concern. If you’re looking for the right roof repair contractors, contact us to schedule an inspection on your commercial roof or residential roof improvement project. We look forward to helping your home or business stay safe, secure, and look it's very best!